More than 35% of adults, age 65 and older, report limitations with basic activities of daily living such as bathing and dressing. Research completed relative to the skills of executive function, illustrated by the ability to plan, coordinate tasks, multi-task, recall, control inhibitions and make decisions, indicates that these skills are important in the ability to perform tasks that support independent living.1 Does cognitive decline, or a diagnosis of dementia, support a loss of independence, lower quality of life and difficulty completing activities of self-care? Does caring for an individual with dementia result in physical decline? Recent studies indicate that poor cognitive impairment results in physical decline. Is it possible to maintain physical strength in light of a diagnosis of cognitive impairment more commonly identified as dementia? What might caregivers of individuals diagnosed with cognitive impairment do to support the ability of a loved one and their own ability to remain physically independent as long as possible? The ability to evaluate information and make decisions involves the mental task referred to as executive function. But what actually motivates an individual to make an appropriate choice between two alternatives, sitting on the couch to watch television or driving to the gym to exercise? It is possible that longstanding habits and lifestyle choices might result in choosing exercise over the sedentary action of sitting on the couch and watching television? Or is a brain that is cognitively challenged unable to identify the healthier alternative? Frailty represents an age-associated decline characterized by exhaustion, weight loss, weak grip strength, slow walking speed and low-energy expenditure. Individuals in a study diagnosed with mild cognitive impairment exhibited greater difficulty walking and poorer balance resulting from muscle weakness by comparison to individuals not diagnosed with cognitive impairment.2 There is truth in the saying that if you don’t use it (your muscles and your body), you will lose muscle strength and your body will become increasingly frail and weak resulting in further health declines. The exercise of walking represents an important component of predicting good health and longevity. Many older adults have difficulty walking a single block or climbing a flight of stairs. Muscle loss and weakness in the thighs and legs negatively affects mobility and more often results in falls and significant fractures that further limit mobility and physical function. Exercise is also known to improve mood and alleviate symptoms of depression. Individuals experiencing mobility challenges become isolated because of the difficulty of going out into the community to participate in social activities or because of an inability to complete daily activities such as grocery shopping. This limitation results in less social contact with friends and family and begins a downward spiral of increased cognitive difficulties. Other older adults are embarrassed to go out in public because of their physical disabilities. Not remaining active and failing to exercise continues the downward spiral of disability. Investigate exercise classes at a local senior center or begin exercising at home utilizing video exercise and strength training programs after discussing the benefits with your physician. Caregivers who experience increases in the time devoted to caregiving activities often restrict or give up hobbies, activities and exercise that were previously an integral part of their life; restricting these activities, including exercise, results in poorer health, poorer sleep quality and elevated blood pressure levels. It is almost as if participating in the act of caregiving — unless appropriate boundaries and guidelines are put in place — will guarantee that the health of the caregiver will decline to the point where the caregiver becomes a care recipient experiencing similar physical and health declines as their loved one. What options exist to prevent physical decline for individuals who are cognitively impaired and for their caregivers? It is well documented that physical exercise benefits the body and may postpone age related declines including walking gait and poor balance; exercise also benefits brain function. Cognitive function is beneficial to preserving daily activities as we age and the ability to remain independent. Daily exercise for caregivers and care recipients is beneficial; simple activities such as dancing to music and walking are beneficial. A research study involving community dwelling adults who were at increased risk for falls due to physical weakness, utilized once weekly music based multi-tasking exercise sessions. The results of the study positively indicated enhanced cognitive function and decreased anxiety. This study holds promise to not only improve cognitive functioning but also to improve muscle strength in older adults. Whether you are an older adult experiencing physical declines or a caregiver who has given up activities because of your role as a caregiver, participating in some type of physical exercise is critical to your long term well-being. For older adults, exercise will lighten mood and support physical independence. For caregivers, participating in exercise will lightens mood and will preserve your health so that the act of caregiving remains a positive activity instead of an activity that damages your health and well-being. 1 Gothe, Neha P., et. al. (2014) Executive function processes predict mobility outcomes in older adults. Journal of the American Geriatrics Society, 62:285-290. 2 Auyeung, T.W., et al. (2011) Physical frailty predicts future cognitive decline — a four year prospective study in 2837 cognitively normal adults. 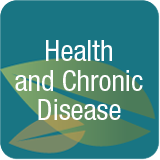 Journal of Nutrition Health and Aging, Volume 15, November 8, 2011. 3 Ho, Jennifer S., et. al. (2013) Reduced activity restriction buffers the relations between chronic stress and sympathetic nervous system activation. Journals of Gerontology, Series B: Psychological Sciences and Social Sciences, 69(3), 408-416, doi,10.1093/geronb/gbt028. May 18, 2013. 4 Hars, Melany, etc. al. (2014) Effect of music-based multitask training on cognition and mood in older adults. Age and Aging 43:196-200, doi 10:1093/ageing/aft 163 7 November 2013. Home > Does Cognitive Impairment Result in Physical Decline for Care Recipients and Their Caregivers?